There are many baseball hitting drills out there in internet land. In fact, below is the best compilation of hitting drills you’ll find. In this list of videos of the best baseball hitting drills you’ll see my favorite drills. 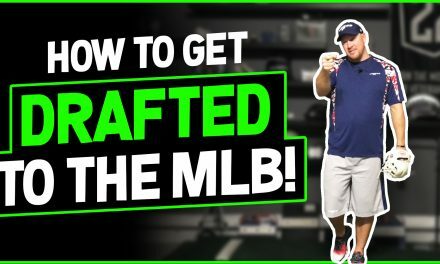 The drills that I think are the best baseball hitting drills, so that you guys can have a hub on where to go to find and implement into your hitting routines. The Catch and Crush Hitting Drill is one of the best baseball hitting drills because it fixes so many of the common problems that I see with young hitters. 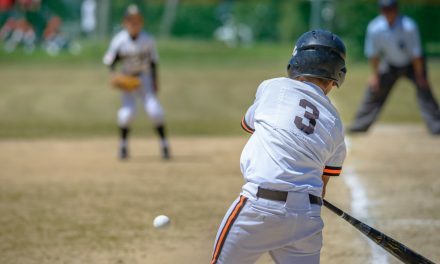 By catching the baseball and keeping it over the tee, the hitter will learn how to keep his upper body closed, while his lower body starts to open. This creates torque and torque creates power! Try this hitting drill and you will love it! I call this one The Barry Larkin Drill because, well…I stole it from Barry Larkin! So, when you teach this to your players, you should introduce it as The John Madden Drill, because I know you’re going to steal this one! Barry was using this drill when working with Rickie Weeks and Dee Gordon at the facility I train at. That’s right, I can drop names with the best of them. Without further ado, I introduce The Barry Larkin, John Madden, Insert Your Name Here Drill. I learned this drill when I was about 12 years old and I never forgot it since because I used a new bat and when my mother saw my brand new, RUSTED, water swishing around inside bat, bat, you can rest assured that memory stuck in my head. This hitting drill is great because it works all the little muscles and promotes stability in the abs, legs, arms, forearms, and wrists, It also shows the hitter how important ground force is and getting through the baseball. When performing this drill, just make sure you’re not using your new bat and if you do, make sure to hide it from mom! There are many drills in this video but I want to point out a few of them. As a whole, this is a great hitting drills progression, but the best baseball hitting drills in this video are the “Walking Happy Gilmore” and “Angled Toss”. Watch Miami Marlins player Santiago Rodriguez (there I go again) as he goes through this hitting progression. Any ice skaters in the house? This drill will help you be a better hockey player for sure! It will also help you a little bit with your baseball swing. The whole idea behind the Skater Swings is that the hitter will keep his knees inside of his ankles, thus giving him the feeling of creating ground force in a swing. The more a hitter can get used to this feeling, the more power and balance his swing will be. Not to mention he’ll be a beast on the ice! Jose Lobaton, MLB Catcher, and former teammate of mine was kind enough to teach me a great hitting drill that helped him hit a walk off home run in Game 3 of the Playoffs last season. I call this drill the Jose Lobaton Hitting Drill because he’s the one who taught me. Loby is a great teacher, a good friend, and a hell of a baseball player. Please follow Jose on twitter @JLobaton21 and wish him good luck this season! Check out the video to learn more. Shoulder swings are a great baseball hitting drill for learning to stay short to the baseball. I see a lot of young hitters cast their hands away from their body. Shoulder Swings will help them feel what it’s like to keep that back elbow into slot and be quick to the baseball. You can use this hitting drill if you bar your front arm as well. Watch the video to learn more! The Frisbee Drill is one of the best baseball hitting drills because it fixes so many problems. As you’ll see in the video, throwing the frisbee will help a hitter open up at the right time and finish his energy in the direction he is trying to hit. If you want to take your Frisbee Hitting Drill to the next level, you can always go and get yourself a Pro Glider Training Bat. Bat speed is one of the most important aspects of a great swing. So, to train for bat speed, you must do bat speed drills. These bat speed drills are focused on having you swing heavier and lighter bats to promote speed and strength. 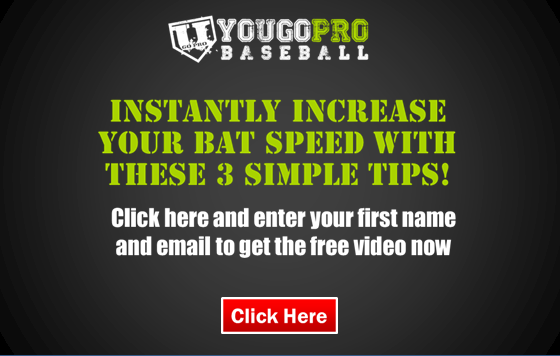 You will see an increase in your bat speed if you follow these baseball hitting drills. This is one of the best baseball hitting drills because it helps the hitter drive through the baseball. If a hitter is weak and cannot handle the bat when it makes contact with the ball, then this may be a good hitting drill for them. Just be careful with younger hitters and this drill because you don’t want them to hurt their wrists. But, if they’re feeling good with it, it’s a great drill to work on powering through the baseball. The new fence drill has been around for ever. Wait, that doesn’t make sense. Well…you see…it’s just the old fence drill with a little something new. Everyone remembers the drill where you stand close to the fence to keep your hands from casting out when swinging. This is the same exact thing except we are going to add a ball on a tee to the mix. This way the hitter can not cheat and pull his front shoulder out to not hit the fence. He must keep that front shoulder in because his objective is to hit that baseball straight down the line of the fence. Make sure to use your neighbors fence and not yours when practicing this drill at first! A simple but effective drill for all ages. I see a big difference in my hitters swings who are 8 years old as well as my college and pro hitters. This drill is easily performed by sitting directly behind the hitter (around where the catcher would be) and tossing balls forward into their hitting zone. Just remind the hitter to not let their weight get out front, but do get their hands extended through the baseball. You can work this drill to all angles of the field, inside, middle, and oppo. Have you ever seen this guy hit? If so, you might want to take a page out of his book. That’s exactly what we are doing in this drill. The next time you see Bryce Harper at bat, pay close attention to his front foot (his stride foot). He shows the entire bottom of his foot to the pitcher. Why is that important? So his can ask the pitcher if his spikes are clean? No! It’s important because it keeps him closed and keeps his energy bottled up until he unloads it on the baseball. So, that’s what we want to do with this drill. Simply…hit like Bryce Harper (easier said than done)! The Bucket Drill is great for any hitter who stands straight up when they’re hitting. This is a common problem I see in younger hitters. They start low in a good batting stance, but then pop straight up as they go to swing. This hitting drill will help eliminate that problem. The hitter will learn how to stay low and stay strong when hitting through the baseball. Watch the video to learn more! Because hitting is side to side and rotational, it is important for the batter to have a good stance. This hitting drill is great because it teaches the hitter to keep their knees inside of their feet, which is a MUST for a good batting stance. This hitting drill is great for anyone who gets over their back leg too much and has a problem transferring their energy. Watch the video! This is not only one of the best baseball hitting drills, but it is also the best bottom hand hitting drill. One handed hitting drills are good to focus on a specific area in your swing and train the hands separately. But sometimes when performing bottom hand hitting drills the bat can begin to drag. This bottom hand hitting drill however, won’t let that happen. Watch the video to see the little addition to this drill that makes it so great! Why is it called the Flamingo Drill? Because I live in Florida, that’s why, and because I just make up names for things. Got a problem with that? I’m not even sure if Flamingos stand on one leg but for some reason, I feel like they do a lot of the time. That’s what you’ll be doing in this drill. Creating force off of your backside, enough to propel you into a good front leg, where your back foot comes off the ground. This drill is a little hard to explain in writing, so just watch the video…or just think of yourself as a flamingo! Stop! Hammer Time! Now every time you see me, my bat’s in the perfect height. My feet are perfect on the floor and I’m balanced on my right. Now why didn’t I ever, stop like this, because without the stinking baseballs, I just can’t hit. You probably have to be born pre 1983 to understand that reference I just made, but you get the point. It’s a good drill. Now stop! Hammer Tire! 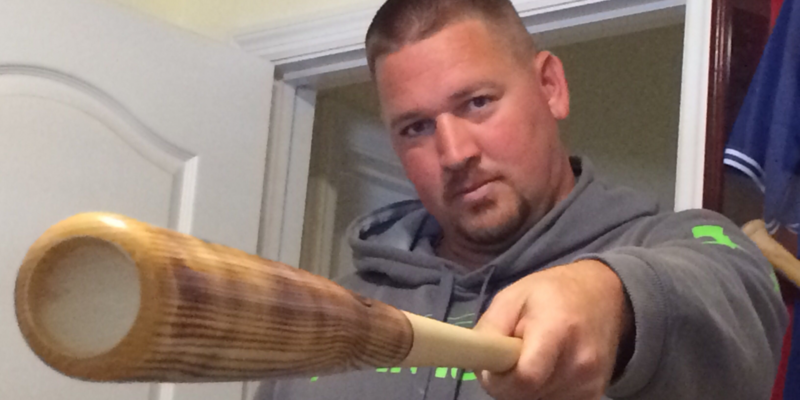 For this hitting drill all you will need is some rubber bands. You can use the rubber tubing that you use to strengthen your arms. Just tie it around the barrel of your bat and work on feeling the resistance through a good swing plane. Watch the video to learn the placement of the rubber band and how exactly to perform the swings in this hitting drill. This is the 2nd Rubber Band Hitting Drill. This hitting drill requires a different type of rubber band though. You will need one of those rubber bands that you use to do exercises with it around your ankles. But instead of putting this rubber band around our ankles, we are going to pull it up higher on our legs. Watch the video so I can explain it and demonstrate it for you. The Stop, Drop, and Fire Hitting Drill is great for any hitter who wants to break down the swing into some steps without getting too “positional”. The stop focuses on the load. The drop focuses on the hips. And the fire focuses on the swing. Try this hitting drill out and see if you can get all 3 steps down pat. Watch the video for more. I’m going to put two videos under this one because they are essentially the same hitting drills. For one of them you’ll need an object to stand on and the other you’ll need and object to stand in front of. But they both work on the same thing. So I figured you could choose which one you wanted to do depending on the objects you have available. The first video is called The Angled Back Leg Hitting Drill and the other is The Load Hitting Drill. For this hitting drill you will obviously need a wall and a hitter. Have the hitter stand close to the wall and swing away from it. If the batter’s bat hits the wall, then he isn’t gaining enough linear energy. This hitting drill is not to be confused with the Fence Drill because we are swinging away from the wall in this drill. In the other one we are swinging in line with the wall or fence. See the video to know what I’m talking about. Hopefully you enjoyed these baseball hitting drills. If you learned something new from these videos, please leave a comment below and tell me what it was. I hope you all have fun implementing some of these into your practices. Don’t forget to SHARE this page with your friends! Also, if you haven’t already, check out my Hitting Mechanics Page where I break down the Swing. Also, please take advantage of the offer below! It’s great! This is the best page on your site! By the way, I love the new look of the site. My son and I use many of the drills we found here. He has even shown his team some of these and they all love them! We have this page saved and come back all the time. Keep up the great work and thanks for all the great information. Well, thanks!…and you’re welcome! I’m glad that it helps! Tell your son and his friends I say hello and to keep up the good work! I love these drills. Especially the Barry Larkin drill. Yes, I love that one too! I actually stole this one from Barry when he was doing it with Rickie Weeks. John, I’ve used many of these drills with my team and we have seen a huge benefit from them. Thank you very much for all the videos. You are welcome very much Ryan! I’m glad you found them helpful! I love Jose Lobaton!!!!! I wish he would catch more with the Nationals. He was the best when he was with the Rays. Me too! He is the man! Yes, hopefully this year will be another break out season for him! Some of the best drills and videos I’ve seen, thank you. What are the training balls you use in the cage? Keep up the good work. I’m glad you like! That one’s a doozy! Dude the Barry Larkin Drill is super helpful. It may seem weird that as a kid who is trying out for the JV baseball team only doing hitting drills now but now is as good a time as any. Hi John. First of all thank you so much for all of the great drills. I’ve coached little league for years. I’m a high school teacher and they’ve asked me to coach the freshman team this year. Do you have suggestions for team infield drills? Hey Coach Gage, thanks so much. We used to do a few things during our “team d” sessions. Your typical I/O (infield outfield), pop up priorities, bunt defense, relays, run downs, and then we used to do something called 14 outs where we did situations and we had to get 14 in a row without a physical or mental error. That was a great drill/exercise for team d. I hope that helps! I love this site…. I am definitely going to be using some of these drills with my two sons. I am horrible at explaining things to children and these videos I think will make it much easier. I want them both to love the game but not because I love it just because it is fun to them. I am learning new ways everyday to help them through fun and without making it feel like a chore. This site is just another one of those ways. Oh and your in FL? Makes it that much sweeter for me. GO RAYS!!!! Hey Tom, thanks man! I wish you and your boys the best! I’m here in Orlando area if you need me. Thanks again! This is my first time browsing through your website and I’m impressed! I’m writing you all the way from Germany where I’m stationed with the military and currently play and coach in the German pro baseball league. I appreciate you having all these videos on your site as I can easily show them to my players. 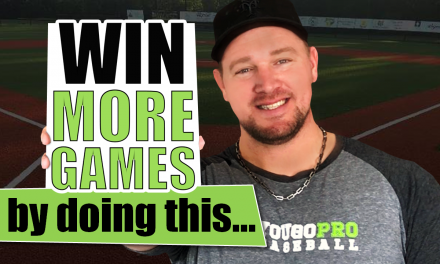 The love for baseball is strong here among the baseball hotspots around the country and I hope to put all of your videos and advice in my coaching toolkit. Thanks and if you’re ever in Europe, Germany in particular, shoot me an email. Wow-this is a jammed packed aresenal of great drills John. Thanks for sharing. One thing I’d love to see is a drill or step process on how to read the pitch early for young batters entering in to the next level where they start seeing off speed. Thanks. Thanks so much Jeff! Have you seen my video about hard focus vs soft focus? Although I don’t think it fully addresses your question, I think it can be a big help. Just search YouTube for “yougopro hard focus soft focus” and it should pop up. Thanks again! I played college baseball at GMU years ago and now have been coaching high school and travel softball for the past 15 years. I am truly amazed at the drills you continue to produce. Can these drills be implemented into the softball swing, as well? How can I subscribe to your program?